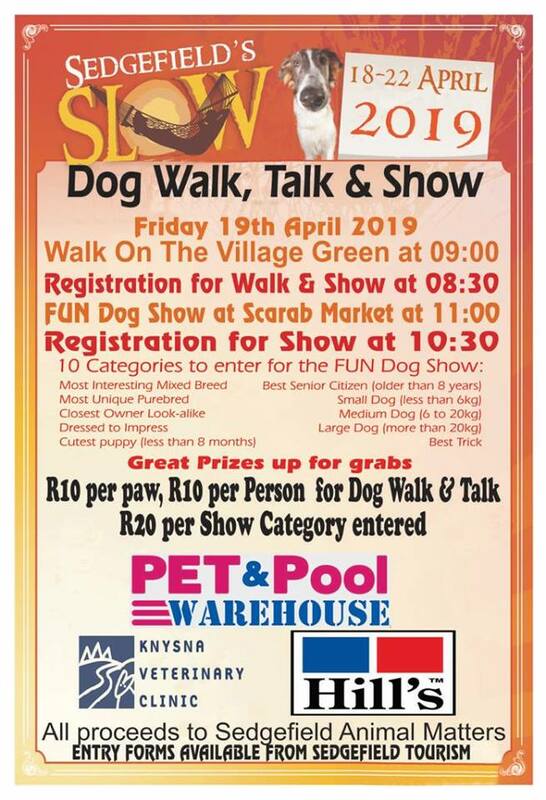 The Slow Festival is South Africa's best-loved annual Easter family, leisure & lifestyle festival focused on having fun outdoors. There are events & activities for all ages & all interests! Remember when people had fun without television, cell phones and computers? When all kids could ride bikes and played outdoors all day? Well, Slow Festival is all about having fun the old-fashioned way. 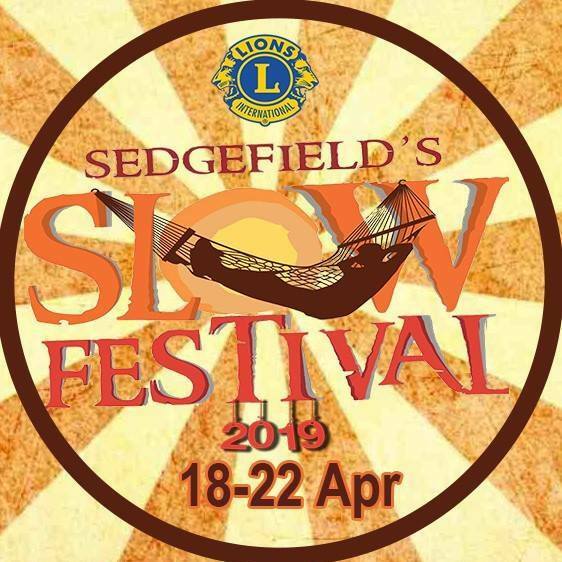 Celebrating the great outdoors in and around the seaside town of Sedgefield, the Slow Festival includes a wide range of fantastic events and activities for all ages and interests. Our opening party is on Thursday at 7pm in the Red Shed at Scarab and will kick start the festival in style. 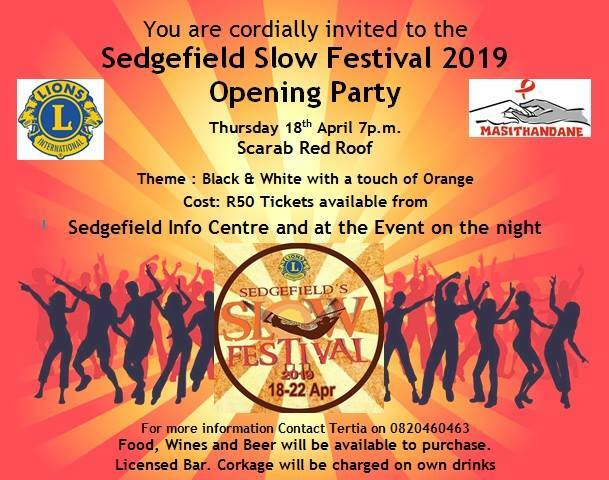 Food, Wines and beer will be available to purchase. Dress Code is Black & White with a touch of Orange. 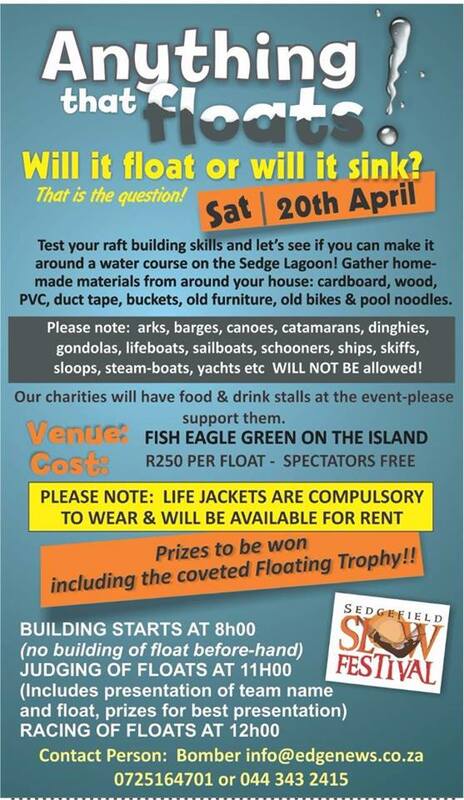 Tickets are R50 and are available from the Info Centre in Sedgefield.